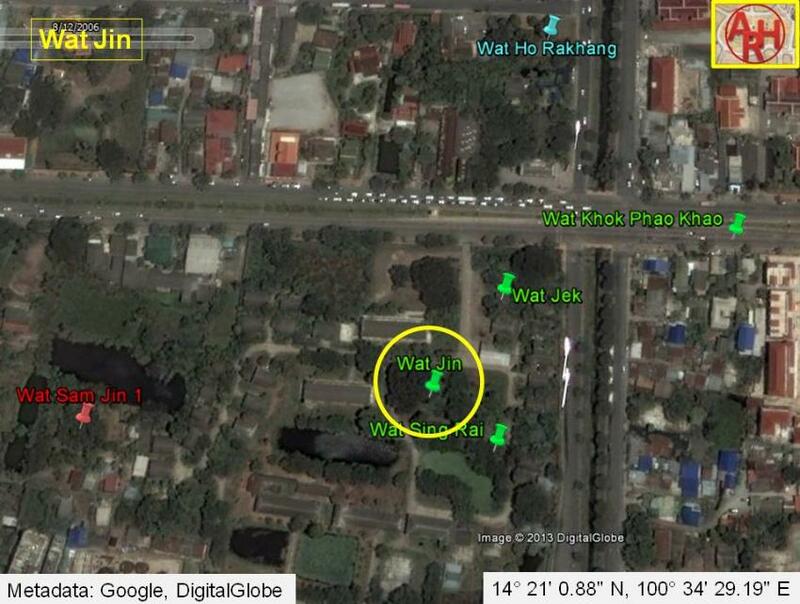 mentioned a Wat Tha Non Cheen (Wat of the Chinese Harbour) in an approximate area. 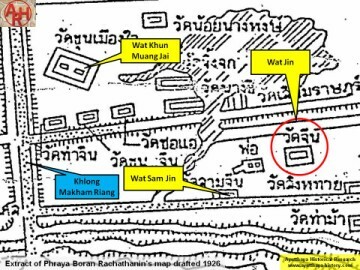 through this area along an east-west axis toward the Chinese Gate (Pratu Chin). 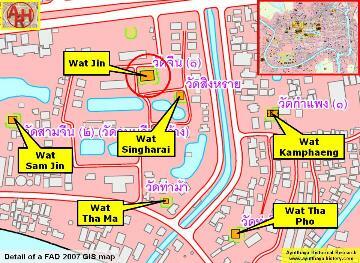 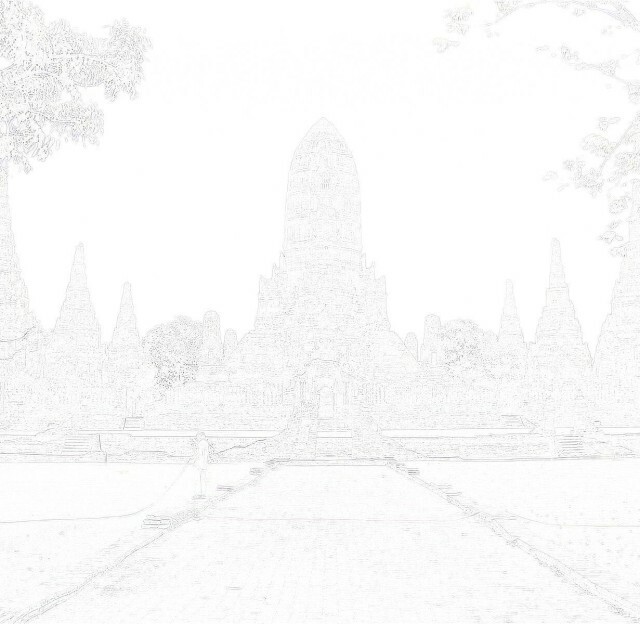 locations might be the remains of Wat Jin, but more research is needed to be sure. 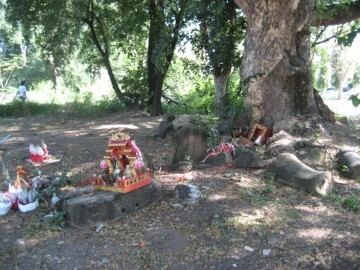 The site is located in Geo Coord: 14° 21' 0.88" N, 100° 34' 29.19" E.